On Thursday, July 3, Alfred, a Cooperative Institute for Arts and Culture, will open a double exhibition titled The Institute: Art for the single viewer, displaying artworks by artists Haviv Kapzton and Lior Schur. Lior Schur, is a multi-disciplinary artist, a graduate of HaMidrashsa - School of Art, a member of a group of artists "Kvutzat Tmicha" (translated to "Support Group"), and an Alfred gallery member. Haviv Kapzton is a video artist, a graduate of the Art Department at Shenkar, a member of the artists' group "Anti Mechikon" (translated to "Anti Deletion"). Kapzton and Schur, will exhibit sculptures and video art which are the result of a shared work process. The nature of the works and their disposition direct the visitors to experience each work by one viewer at a time. 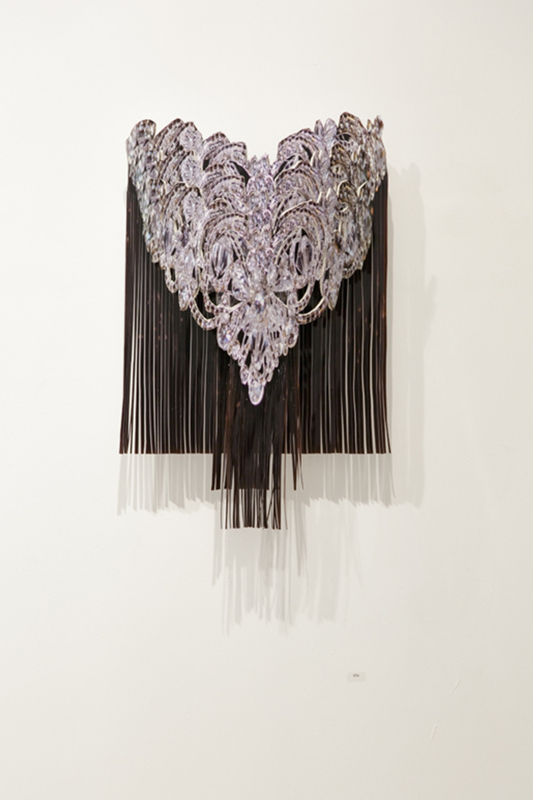 Schur will exhibit a series of sculptures composed of glass, photographs of diamonds, aluminum foil and cloth strands. With laborious work Schur created an appearance of wealth and glam. In the center of the gallery space a chandelier-like sculpture will be hung made f skeletal umbrellas, plastic beads and cuffs. 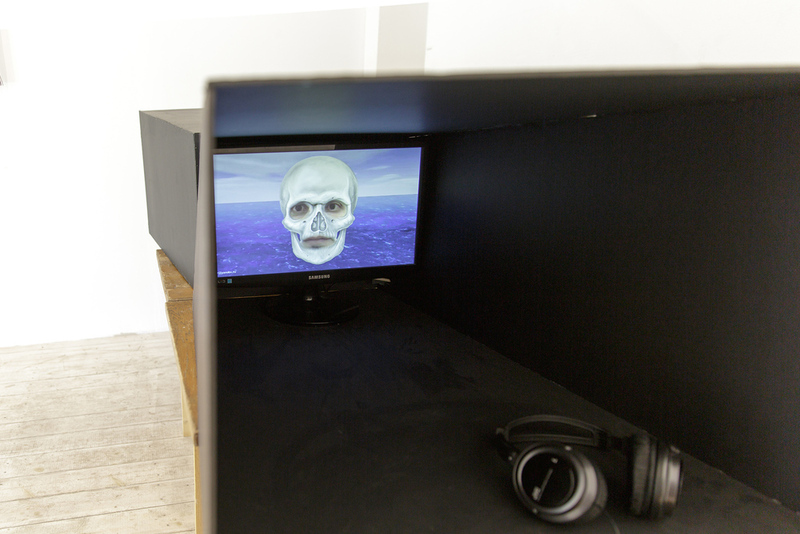 Kapzton will exhibit video art works in a sort of "viewing devices". These installations invite the viewer to enter and experience the video in isolation from the environment. The works deal with existential questions about human and animal nature, about death and about the origin of violence. In a separate room Kaptzon will exhibit another video art work titled "Chovot HaLevavot" (translated to "Duties of the Heart"), which deals with questions of morality, creativity, love and loneliness. The exhibition seeks to create a one-time intimate encounter between the works of art and the single viewer. The exhibition focuses on the triad that exists between the artist, the artwork and the viewer. All of the works relate in different ways to the issue of loneliness of the creator and of the viewer.